Hold on to your phones or laptops. HAHAHA. Either you're going to throw it because of this madness, or you just wanna throw it. This has been one of my most detailed and weirdest dreams ever. I have no idea why I dreamt of this, when all I was thinking about yesterday were Creme Egg chocolates! Plus Steven Yeun. I watched all his funny videos with Conan. So... please explain to me why I had this kind of dream. To those who may know me, they already know how detailed and random my dreams can get. My favourite dreams are those that involve horror films. I know, I know. Some may consider these as their nightmares, but for me, it's like watching a whole new horror film for free, and exclusively made for me. Haha! 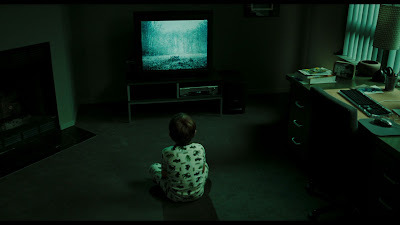 I'm a huge fan of horror/psychological thriller films (except for intense and disturbing gory flms). My highschool friends were the ones who always had a horror film day back then. I miss it! My dad watches them with me, because mom can't stand them. Then again, it's my dad who introduced me to The Night of the Living Dead when I was only 5 or 6 years old, hence the tolerance and love for zombies? If I can just make a movie out of all my dreams, I'd totally do it. Last night was more of a SCARY MOVIE movie (as in the parody film of some of the horror movies out there). I had a combination of all my favourite horror films. Sadly, there were no Jeepers Creepers nor zombies. But it sure was scary. The funny part is-- I blogged about my dream in my dream after I woke up in my dream. Before I start, if you haven't seen any of the movies I am going to refer to in this post, I made a lame description of each involved film at the bottom, just so you can follow. Haha. Get it, get it? Lame, I know. Haha! It all started when Willie Revillame's (a TV show host in the Philippines) niece (I HAVE NO IDEA WHY IT WAS THIS DETAILED!) disappeared. Her phone got stolen and after a few days, she disappeared. He asked me to look for her in the computer system, whether she's at the hospital or something. He couldn't even spell out his niece's name, so we couldn't find her. Anyway, randomly, I just had a theory in my head that maybe someone steals phones and once they're stolen, someone starts to follow you like IT FOLLOWS. I was at Shangri-La Mall. Yes, THIS DETAILED. I was eating with my mom, dad, my young cousin, and her nanny. Since the setting was in the Philippines, we both had two phones. Back then, in the Philippines, having two phones was normal, because one was for a Globe/Smart network and one was for a Sun network (hello unlimited texts/calls or basically if you have a lovelife haha but seriously, why not just have this if you're after unlimited texts/calls? haha!). In my head, I told myself that I should really watch our phones. But the actions became opposite and we decided to leave one of our two phones behind with our nanny. I warned her and my parents to never let anyone touch the phones and to always watch over them. So I had one phone with me, as well as my cousin. We were shopping around, when I noticed that there were random people trying to take our phones away. One was discreet, but I got to hide my phone away. But as the time went by, these random people became more aggressive and physically started pulling our phones away. I got to save mine. However, later on, I noticed a really pale woman, who looked like Sadako with a short hair. She was there. Just watching from afar. And that's when I realised that maybe, just maybe, my other phone with the nanny has been stolen. We went back to our nanny and she was crying, saying the phones were stolen. I knew it. We were doomed. I got REALLY upset. I had a feeling that being followed has begun. Dundundundun. And all of a sudden, we're in Sydney. We were all there in the middle of Sydney CBD at night. No cars or buses or whatever. I was just saying "Anytime now, they are coming." So since we're in the middle of the street, we had so many exit points. I had to look around. It was dark despite having the lamp posts around. A few moments later, I saw one Sadako coming out from one corner. Now, I was confident I can run away from this. In IT FOLLOWS, the following thing is slow. You can probably just walk away from it, and laugh at it while walking backwards and staring at it, only as long as you never sleep! Hahaha! BUT DARN IT. This Sadako was walking fast like a nurse on the run. Haha! And what sucked was, another Sadako came out from the other corner. There were two Sadakos now!!! This is the best I can get to showing you how my dream looked like haha! Sorry for my rushed Photoshop haha! I was like, "Hey. How come in IT FOLLOWS, you only get one follower!?" So I figured that maybe one was for my cousin. Haha! Breaking the IT FOLLOWS rules. In the movie, it can be passed on and you only have one creature following down a line of cursed people. This has a different rule. It was more of instead of watching the tape, if your phone gets stolen by Sadako's minions in the real world, you are gonna get followed. Unlimited Sadakos too, like the Sun Network. I don't know what the solution was either. Steal another phone? I'll stop explaining. We made a run for it. Of course my parents couldn't see these pale ghosts coming after us (only the people being followed can see them), so they just stood there confused. Me and my cousin found a bus and just kept going. We felt safe for awhile, until one Sadako threw a huge rock to break the window of the bus. We left the bus and ran to the middle of the city with buildings surrounding us (it's a city...duh Steph haha). And this time, we found hundreds of pale creatures roaming around like in The Cabin in the Woods, following and attacking whoever was assigned to them. I was trying to make sure they weren't all after me. Haha! I stood around and just waited if they'll come. But one just walked past me. Okay, good. Now which one is mine? Anyway, all of a sudden, the lights went out, and they all disappeared. Ah. They are powered by lights? What movie is this?! Lights Out the other way around? LOL. And then the lights went on again. And then they were alive... again. I have no idea if my follower is around yet. But there was this huge LED screen on one of the buildings and this weird guy made an announcement that this was his way of taking over the world. Actually... This reminds me of Kingsman: The Secret Service. It was more of a The Cabin in the Woods feeling, wherein all these creatures were controlled by this guy, but instead of sacrificing certain people, he was terminating people, again, like in Kingsman: The Secret Service. 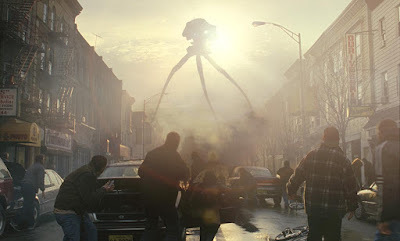 The city looked like it was being attacked by aliens without those huge tripods in The War of the Worlds. That's how chaotic it looked like. So we tried bringing the electricity down, so that it would all stop, including that guy announcing and creeping us all out in the screen. And then I woke up in my dream and started blogging about it. At least I survived. ... and started blogging about the weirdest and most detailed dream I've ever had. 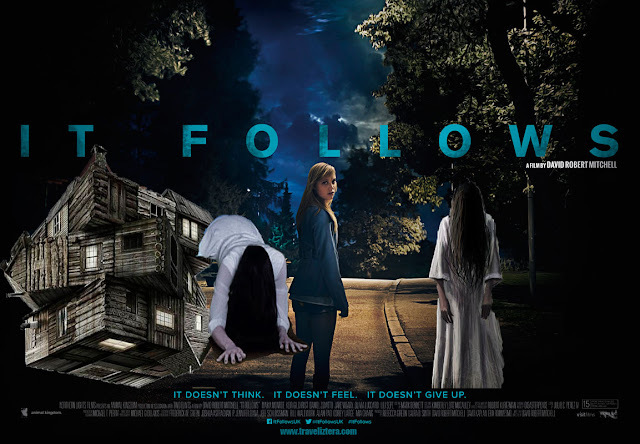 1) IT FOLLOWS - If you made love with a cursed person who is being followed around by this slow creature, you're automatically getting this creature to follow you around instead to kill you. You have to pass it on by making love with another person, but if this person gets killed by this creepy creature, it comes back for you, so you have to make sure that the person you passed it on to remains alive and passes it on to another. Kind of The Ring, but more effort. Haha! 2) THE RING - Who doesn't know this film?! So there's a tape. If you watch it, you receive a call from Sadako orrr Samara (if you watched an American cursed tape instead lol), and you have 7 days to live until she dramatically comes out from your TV and kills you. 3) CABIN IN THE WOODS - Chosen ones rejoice! I hate spoiling this film, but if you really wanna know the twists and turns and loops and whatsoever, there are some chosen people for a sacrifice, and they kill them through the most creative means possible. The Cabin in The Woods is the place where all the magical horrors happen. There is a control room somewhere and they control the behaviour of the people in the cabin, and how they are going to get killed by their chosen monsters. In the end, they got to release all the well-known creatures (including the twins from The Shining) in the control headquarters, and basically did a purge. 4) ONE MISSED CALL - You get a call or a text or a video message from your future self, showing you how you are gonna die. 5) WAR OF THE WORLDS - The world gets taken over by aliens with Giant Tripods. Termination time. 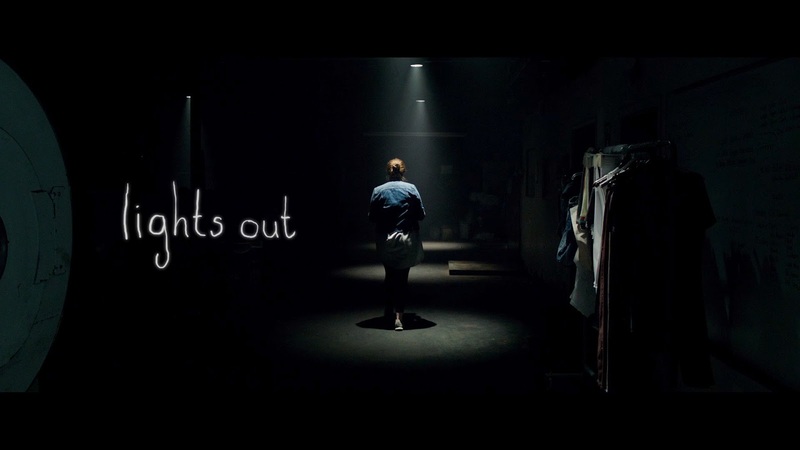 6) LIGHTS OUT - Personally, I've only seen the short film. 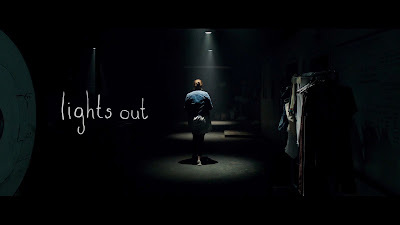 But yeah, creature appears when the lights are out. 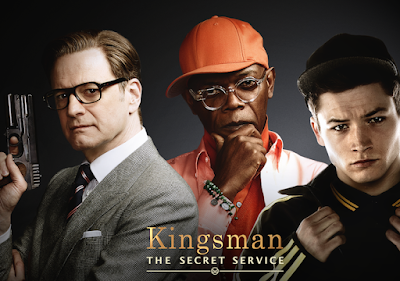 7) KINGSMAN: The Secret Service - Not really a horror film. A young man gets recruited to be part of a secret service, and his mission was to stop this tech genius from killing all the non-elite people in the world. 8) SCARY MOVIE - A hilarious parody of all the scary movies out there.